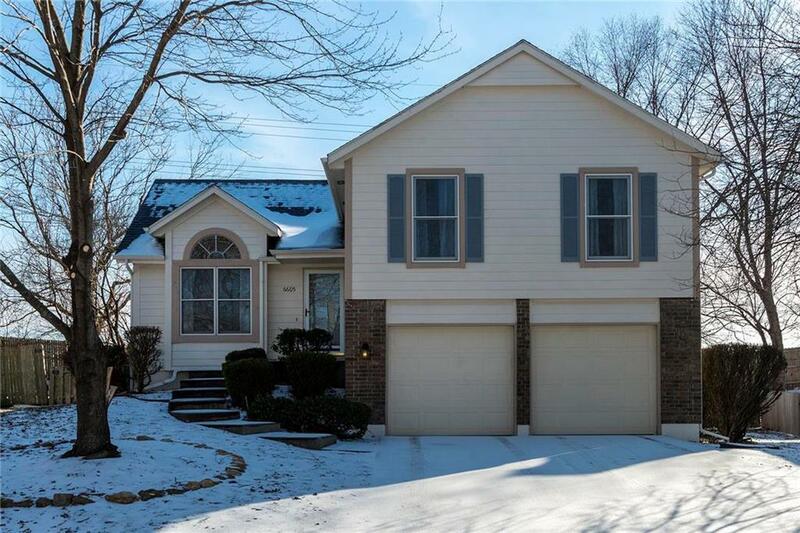 Well-maintained, updated & open atrium split in desirable Blue Valley Schools. Dark wood floors throughout. All baths updated w/new vanities, marble counters, gorgeous tile & new oversized tub. Granite counters & tile backsplash in kitchen w/newer stainless steel dishwasher & microwave. Spacious dining area walks out to deck. Large family room w/gas fireplace walks out to patio & fully fenced backyard. New railings w/iron spindles. Separate laundry room. New HVAC & sump pump. Large sub basement w/plenty of storage! Directions: Take 69 Highway to the 159th Street exit. Head East. After Metcalf, take first left on Lamar. Take first left on 158th Place. The home is on the left.